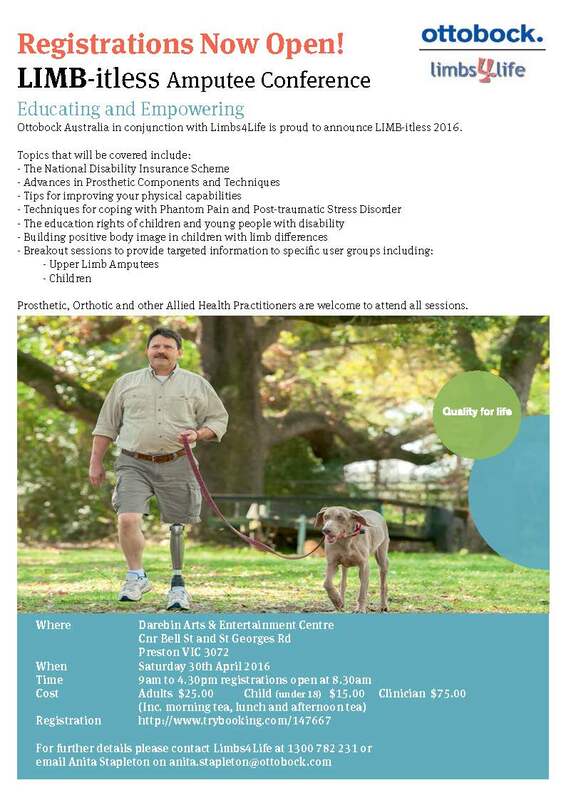 Limbs 4 Life has received government funding to assist some amputees and parents/carers of children with limb difference to attend the LIMB-itless conference being held in Melbourne on Saturday 30th April 2016. All applicants must be receiving a government pension and/or holding a Healthcare Card (including if a Healthcare Card is held in the name of a child). Applications close on the 1st of March 2016 – download the Application Form for more information and to apply. 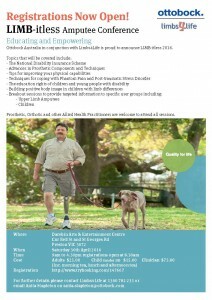 • 15 x Victorian amputees and parents/carers in regional/remote areas to have travel costs (up to $70) subsidised.